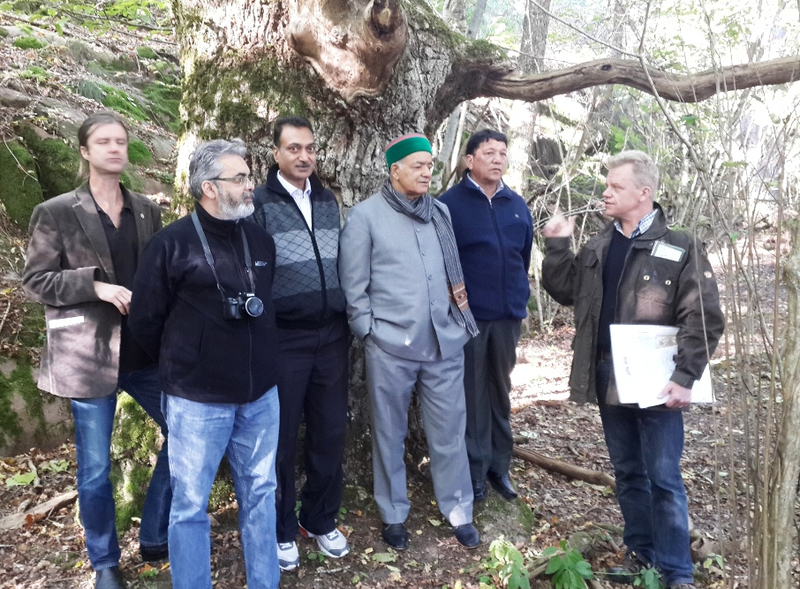 Aiming to enhance understanding of scientific management of wildlife and develop appropriate long-term collaboration with premier institutes in Sweden, Forest Minister Thakur Singh Bharmouri led delegation of the State Forest Department undertook a consultative visit to premier agencies in Sweden from 21-27th September, 2014. The Forest Minister revealed the delegation exchanged understanding on human-wildlife damage mitigation, animal capture and radio collaring, zoo management, captive breeding of endangered fauna and wildlife disease control. 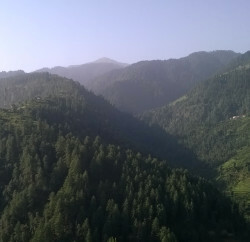 The scope covered wildlife conservation in general with a focus on snow leopard conservation. He said the Nature Conservation Foundation (NCF) and the Snow Leopard Trust (SLT) have long-term collaboration with State Forest department and various institutions in Sweden to carry out state-of-art wildlife research and management and assisted in organizing this tour. The team interacted with renowned research scientists of different universities on various methods to reduce and prevent wildlife damage and also saw the demonstration of the techniques that have been successful in warding off conflict with various species which could be used in Indian conditions too. The team also discussed intricate details of zoo management and captive breeding and also had deliberations with the experts regarding concerns of the State due to fears of zoonosis and animal health. The delegation also viewed the facilities, which included their sophisticated necropsy and forensic facilities. He said the experts from Sweden appreciated the commitment for wildlife conservation at the highest level in the State as a very welcome sign. 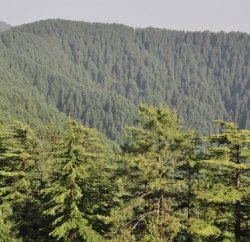 Bharmauri said certain aspects of wildlife damage control, zoo management, captive breeding, disease control, and wildlife capture and radio collaring will be immediately implemented in Himachal Pradesh. He said the State would the work towards a more sustained mechanism of exchanging expertise, capacity enhancement and implementing common conservation projects. The funding for the tour was provided through the Project Snow Leopard funds of the Ministry of Environment, Forests & Climate Change (MoEFCC), Government of India, and supplemented by NCF, SLT and host organizations in Sweden. The Minister was accompanied by officers representing various aspects of conservation and management in the State. The PCCF (Wildlife) &Chief Wildlife Warden, Dr Lalit Mohan, Addl. Principal Chief Conservator of Forests (CAT Plans), SS Negi, and DFO (Wildlife), Satish Gupta, comprised the delegation and were assisted by Dr Yash Veer Bhatnagar of the Nature Conservation Foundation (NCF) and the Snow Leopard Trust.